Uninterrupted power supply is pretty much the order of the day. People are progressing to working from home and our lives are dependent on the technology and appliances powered by electricity. We all know how inconvenient life can be without light or if the central heating shuts down in the middle of winter, not to mention the potential loss of earnings should the internet be down indefinitely. Having an emergency preparedness plan in place during a power interruption or weather disaster is imperative. In such situations a good quality standby home generator allows you to continue using essential appliances such as air conditioners, heaters, refrigerators, and lights. A standby generator can energize a house for days after a blackout. Home standby generators are connected directly to your home’s electrical panel and powered by an external fuel supply. Like any mechanical equipment their performance will be smooth only with regular services and maintenance. Generators are an expensive investment and its life can be extended with prompt repairs and servicing. We are a renowned company serving the Franklin Lakes area of NJ. The innumerable positive customer reviews on google speak for our reliability and reputation. We are the proud recipient of the Angie’s List Super Service Award consistently for the last 10 years. We have also won the gold medal in the Suburban Essex Magazine’s highly coveted Best of Essex Award in the last two years. Our qualified technicians will provide the necessary information to make an educated decision regarding the size and type of generator that will best suit your home. Every available option will be discussed, followed by a detailed explanation of the use and maintenance of the generator you choose to purchase. Care and maintenance is vital to ensure your generator is functioning optimally at any given moment. 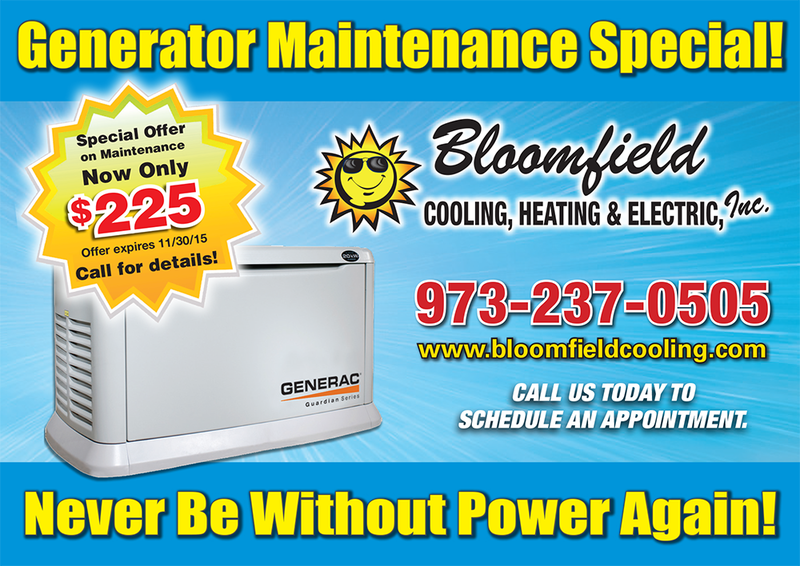 Our attractive maintenance packages guarantee the reliability and efficiency of your generator. Regular inspections by our technicians facilitates early detection of problems and identification of under-performing components. This ensures the smooth and efficient operation of the generator for an increased life span. The maintenance plan includes routine maintenance calls, diagnosis, replacement of oil and oil filters, cleaning and replacement of spark plugs and visual inspections that will increase the efficiency of your unit. We take pride in delivering the best overall customer experience in standby generator sales, installation and services. If you are a home owner in Franklin Lakes, NJ and you would like to learn more about home standby generators or would like to arrange a free in-home survey give us a call today.